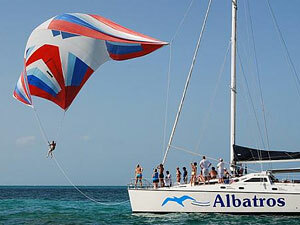 If you want to have a different experience during you Cancun vacation, we suggest you some thrilling activities you can have in the many Cenotes located in the Mayan Riviera; Snorkeling, diving, swim and hiking into Cenotes is a magical and unique experience, a great spectacle in the Mayan jungle. But what is a Cenote? 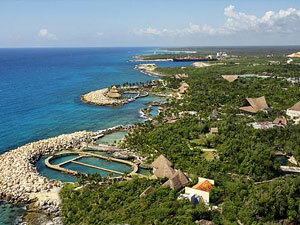 The Maya called cenotex "dzonot" (ZO-note), which the conquering Spaniards translated as cenote. Motul, a Mayan hieroglyphics dictionary defines dzonot as "abysmal and deep". Millions of years ago, the Mexican region of Yucatan was covered by the ocean and during the last Ice Age, the level of the ocean sank. All the reef and marine life collapsed and many of them became marine fossils. Rainfall filtered through the ground and flowing slowly towards the ocean it eventually carved out huge systems of underground caves and tunnels forming an underground river system with caves or exposed access points formed by the slightly acidic rainfall dissolving the alkaline limestone. Inside the caves the geological formations such as stalactites and stalagmites are a spectacular sight to see. There are approximately 30,000 cenotes or exposed access points to these caverns and cave systems, two of these cave systems have over 140 km of explored passages, however there are thousands of them have already been explored. 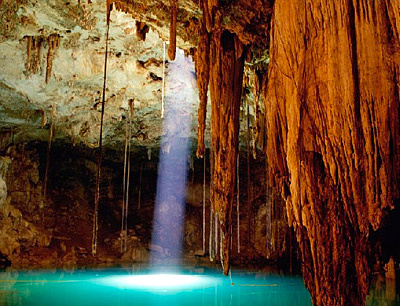 Some cenotes contain spectacular cave formations, while others are important archaeological sites and several were considered sacred by the Mayans. A few are open to the public for swimming and diving. Cenotes can be any shape or size, they can appear as a pond, a tiny shaft, a crack hole or even like a lagoon. 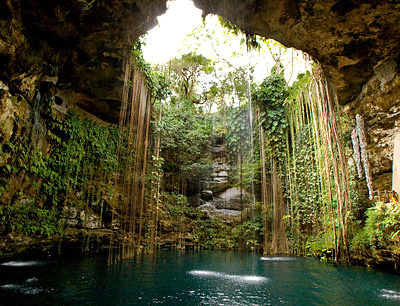 Water that flows into a cenote is called the spring side or upstream area. Water that flows from the cenote is known as the siphon side or downstream area. Many cenotes give access to these underground waterways and one of the most exciting experiences uniquely available in this part of the world is to dive and explore these wondrous, mysterious cenotes and their hidden rivers. Cenotes are a great place to snorkel and swim, and is safe as long as you go with a qualified guide. 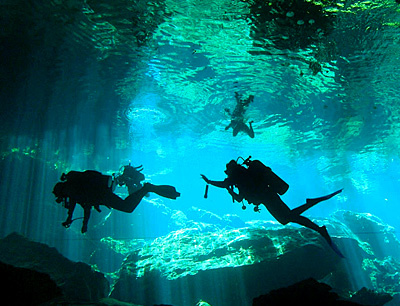 To explore the Cenotes near Cancun and the Mayan Riviera, there is no special certification necessary other than a standard open-water dive certification. There are many beginner dives that are safe as long as you’re working with an experienced guide. For advanced divers, there are several caves in the area that are slightly more difficult to dive. Again, an experienced guide is recommended for any cave dive. 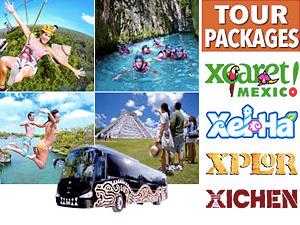 In Cancun Adventure we offer several tours to enjoy the wonder of cenotes, they usually are combine with some other attractions, Our qualify guides guarantee you safety and unforgettable moments.